In an issue reflecting back since Golfweek began publishing in 1975, the magazine highlighted 10 golf courses that made a difference in how the art of golf course design is understood by players today, and transformed the business of golf. Two high-profile Jack Nicklaus Signature Golf Courses—Mission Hills World Cup Course in China and Trump Golf Links at Ferry Point, the recently opened public course in The Bronx, NY—both were included in the elite list for being among the most interesting and influential courses to be designed in the modern era. They were chosen out of almost 12,000 golf courses worldwide that have opened since 1975, including 6,500 in the U.S. alone. 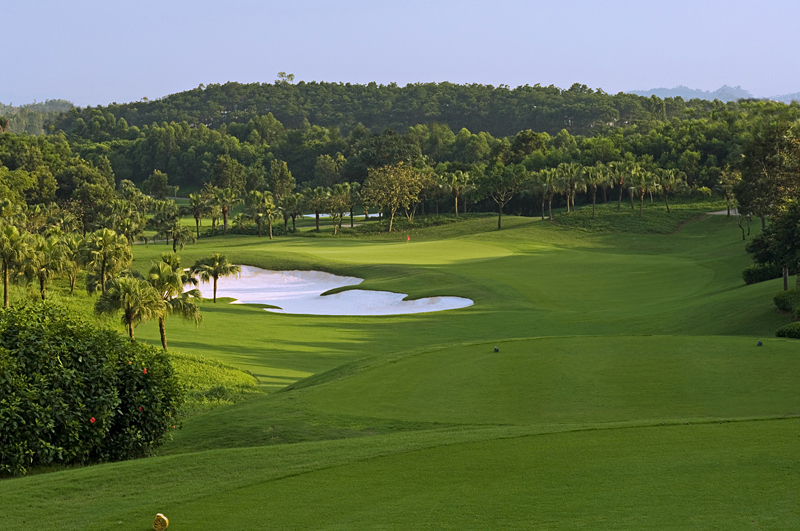 The Mission Hills World Cup Course, which opened for play in 1994 in Shenzhen, China, is credited with opening up the country’s international golf profile and spawning what would become a record-breaking 12-course facility. Mission Hills and its expansive clubhouse set the country’s golf standards. Today, Nicklaus Design has 27 golf courses open for play in the burgeoning golf market, and another 19 golf courses under development. The other course to be included in the “10 that mattered” list is newcomer Ferry Point, which opened for play on April 1, 2015. Situated atop a capped landfill under the Whitestone Bridge, this course was 20 years in the making. It’s actually 70 years if one considers that legendary city shaper Robert Moses envisioned a park with golf on the site in the 1940s. This Jack Nicklaus Signature Golf Course is rolling, compelling and scenic, with management by Donald Trump of the city’s first new municipal layout in a half-century. The layout is expected to eventually host a major.